Fruition is growing up and laying down roots in the quirkiest little town of Newmarket, NH. Although we began our farm endeavor as a father-daughter operation growing hundreds of strawberry, blueberry, and raspberry bushes in 2013, our focus has fallen on establishing a flower crop that outlasts berry season and isn't as sticky as honey. 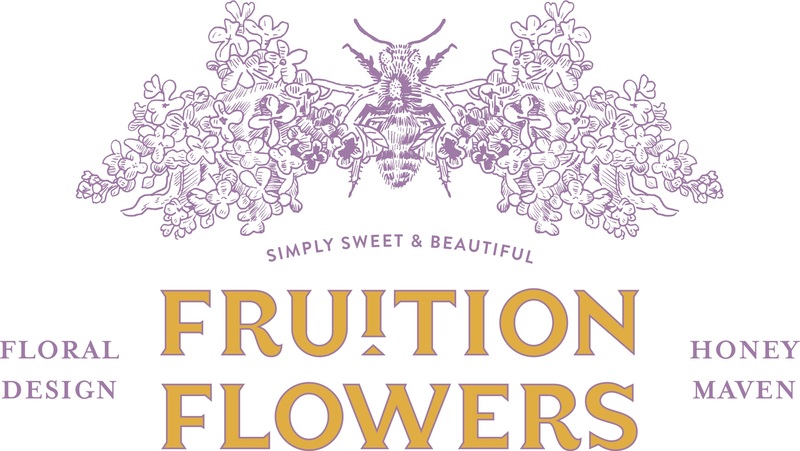 Fruition is both a flower farm and a floral design studio, specializing in creating bespoke florals for weddings and special events in the seacoast area of New Hampshire and beyond. We use as many locally cultivated or foraged materials as possible to ensure every bridal bouquet has some seasonal elements that make their flowers unique to a time and place. We believe the cultivation of flowers should have as positive an impact on the earth as they do on their recipients. Through ""no-spray"" and other sustainable farm practices like composting, drip irrigation, and crop rotation, we strive to treat our lovely little piece of land gently. Farm stand at 33 N. Main Street. Bud vases and edible flowers to chefs through Three Rivers Farm Alliance. Area retailers: Newfields Country Store, Joppa Fine Foods. CSA is an abbreviation for Community Supported Agriculture, a model on which we base our flower subscription. Fruition Flowers is offering ""shares"" of the beauty we grow, so that you or someone you love may have a weekly bouquet of the freshest flowers, grown right here in New Hampshire. We are offering spring, whole, or half shares allowing the shareholder to pick up a bouquet either weekly or every other week. By purchasing a share, our CSA participants help to support us while we order seeds, improve infrastructure, and prepare for the upcoming growing season. Shareholders also assume a bit of the risk associated in farming in the unpredictable Northeastern weather, which is why we can't provide an exact start/finish date for our subscriptions. In return, we supply our shareholders with the abundance of blooms we harvest throughout the season, and if we are picking any surplus, it goes straight to our shareholders. Available for pickup at our N Main Street barn/design studio on a weekly ($250 for 14 weeks) or biweekly ($125 for seven weeks) basis; running mid-July through mid-October.